Part 1 of Burnt Orange’s Series On Telecommuting: What Is Telecommuting? Our Saskatoon IT Tips are from the Trusted professionals at Burnt Orange Solutions. We promise to have a one-hour response time for all your Saskatoon IT support needs. Honesty and respect are important to us. In our latest IT Expert tip Article, we share the first in a 2 part series on the benefits and application of telecommuting for your business. Firstly what is telecommuting? Why would a business want Telecommuting? Some businesses are being forced to because they’ve run out of office space or to accommodate “road warriors.” But many are doing it for these reasons… Business owners (and key managers) working 60+ hours a week are using it as a way to continue working after hours and on weekends from the convenience of their home office. Allowing employees to work from home means businesses can cut back on office space, lowering rent and utility bills – and according to a recent survey of small businesses, nearly 40% of small and medium business es have (or plan to) cut down office space and allow employee to work remotely from home to save money. Not only is this lowering overhead, but it’s making for happier employees who no longer have to fill their gas tanks. Telecommuting actually increases employee productivity, lowers stress levels, and improves retention. Contrary to what you may believe, employees who work from home tend to work more, not less. Because the computer is right there in their home, they will often put in extra hours during the evening and on weekends when they normally wouldn’t be able to access the network. Plus, employees working on detailed programs, graphics, and projects tend to get more done when they don’t have to deal with office distractions. Some companies are allowing their employees to work from home two or three days out of a week instead of giving them a raise –a bonus many will gladly take over more money. This also works well if you have limited office space because employees can rotate desk usage. 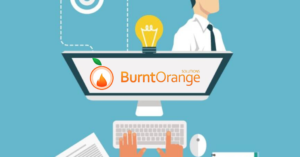 Why Choose Burnt Orange to set up your remote office technology for telecommuting employees? There is no “one size fits all” solution; the best solution is greatly dependant on your specific business needs, the applications you use, how many people will be accessing your systems remotely, the available equipment and dozens of other factors. Burnt Orange has experience setting up remote access and we have STRONG (and recent) client references. Burnt Orange team do a THOROUGH evaluation up front. We do our homework so you won’t have to spend MORE money, MORE time, and have MORE frustration getting to what you really need. Burnt Orange will assess your overall goals and specific objectives for allowing your employees to work from home or on the road. We are local and on hand to help our 24/7. We hope this article gave you some insight. 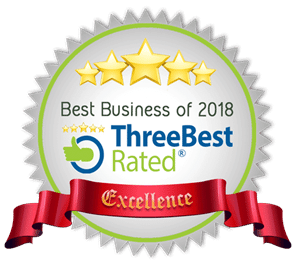 If you want to ensure your business’s IT security, contact the Trusted Saskatoon IT professionals at Burnt Orange Solutions and we can take IT worries off your plate. So, what exactly is Burnt Orange Solutions?